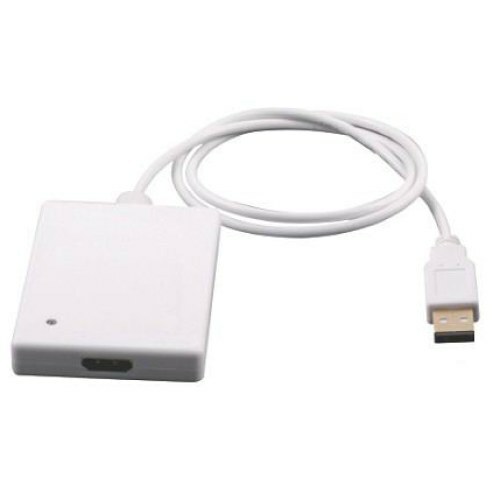 The USB 2.0 Converter allows you to connect an extra monitor to your desktop or laptop's USB port. You can watch videos or slideshows together on the big screen. Support USB 2.0 input and HDMI output. USB 2.0 480Mbps bandwidth for connecting to computers. USB 2.0 resolution max up to 1920x1080, including 1600x1200, 1.65Gbps/165MHz/24bits bandwidth. HDMI output support 1.65Gbps/165MHz/24bits bandwidth. USB video supports Primary, Extended, Mirror, Rotate.